It’s Father’s Day! Your old man deserves to have a day to himself with all the sacrifices he has made to make you and your family happy. 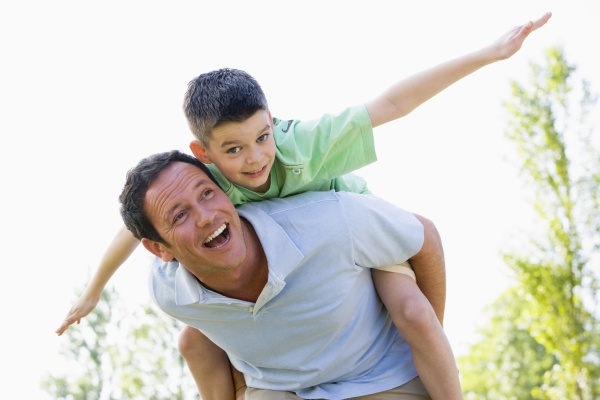 If your father is an avid golfer, why not take him to Continental Golf Club? The moment is almost here! You can finally walk across that podium and grab the diploma you worked so hard to earn. Graduation is truly a memorable moment, and a bright, white smile can be the finishing touch to demonstrate your happiness. There are ways to boost the watts in your smile, and our teeth whitening services, under the supervision of your dentist in Scottsdale, can do just that. If you’re interested, please give us a call! June 21 is the solstice, which means the start of summer! Do you have any fun family vacations planned? Well, one of our favorite summer activities is visiting the Scottsdale Farmers Market. This is the place to get fresh fruits, vegetables, eggs, honey, and so much more from the local farmers themselves. What are your plans for June? Share us your thoughts!